Bookshelves and display shelving - full width box shelving with low-level cabinets painted finish to match decor. Our Joinery work can be seen in the new Millworks restaurant in Cambridge. We replaced the tatty old flush door with a traditional panelled style in black with smart brass furniture. Floor to ceiling bespoke fitted wardrobes. The 8-pane sashes in this Cambridge home were in very poor condition but the frame was ok. We replaced with like-for-like sashes which frame the garden beautifully. 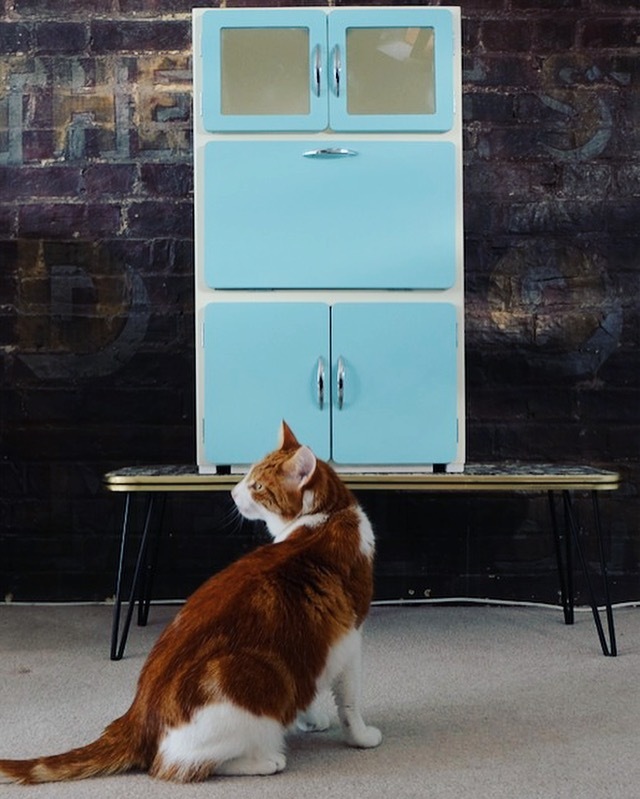 Suffolk county council asked us to create these reminiscence cabinets for people suffering with dementia. The idea is to fill the cabinet with things that can bring back a memory and start a conversation, anything from a football programme to an old postcard. The new front door we created for a customer who wanted more light in their hallway. The existing door was unglazed, so we matched the glass design in the curved fan light above and incorporated it into the door. 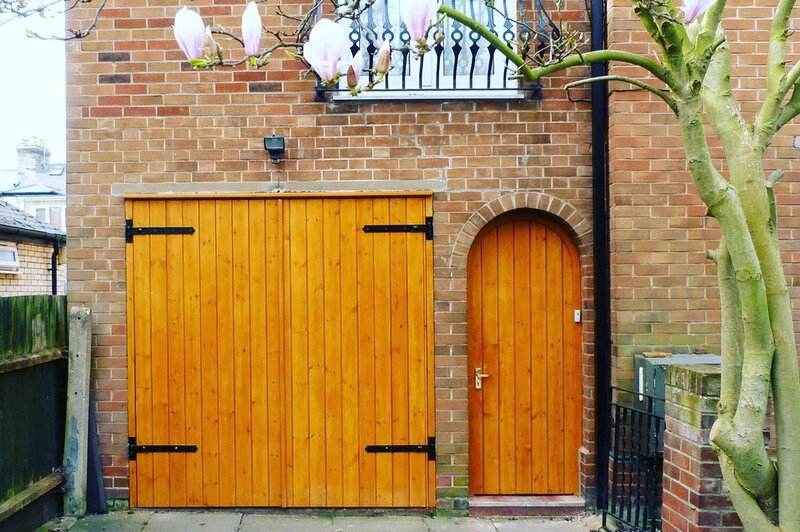 Stained pine garage doors for a home in Cambridgeshire. 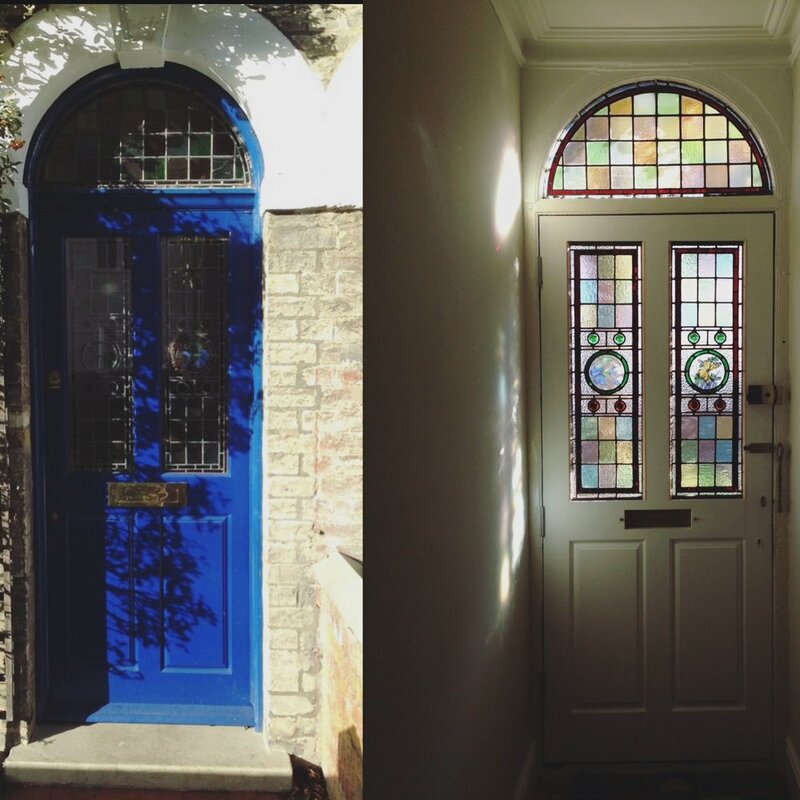 A nice before and after shot of our finished door, just off Mill Road in Cambridge. Our joinery work in the SmokeWorks restaurant in Cambridge. 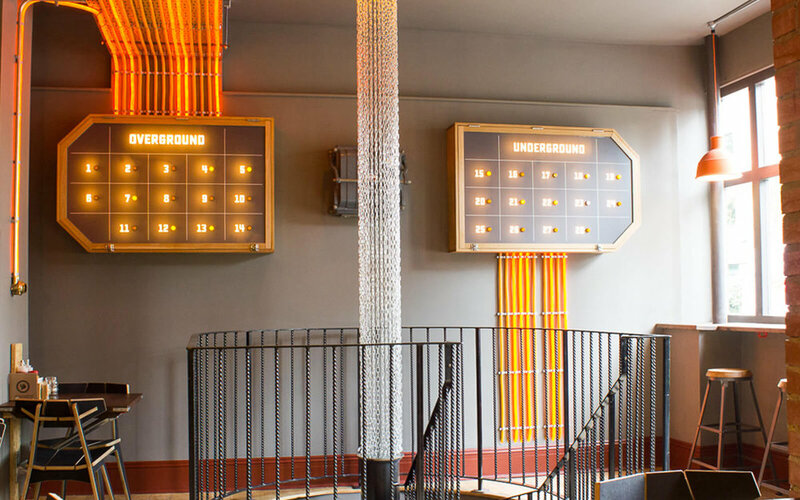 More of our work in the SmokeWorks restaurant in Cambridge.